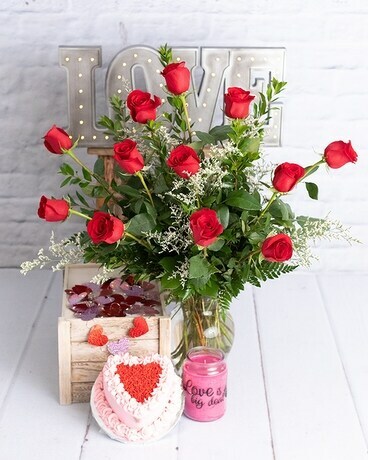 You’ll Love supporting Local in this fantastic Local Valentine’s Package! Everything in this package is made Local! Flowers are designed by yours truly, cake is made by Dainty Dollop, and the 26oz candle is made by Long Creek Candle Company! What’s not to Love about this deal!